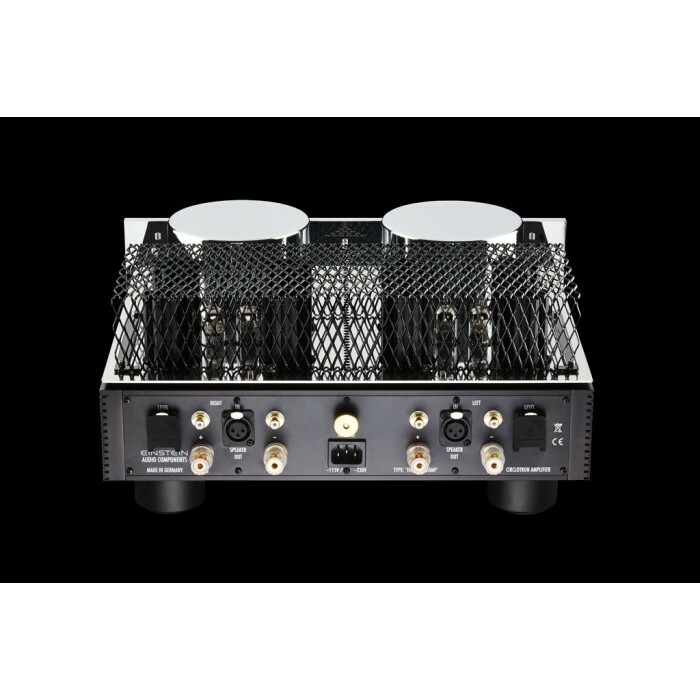 The development of EINSTEIN'S latest stereo amplifier, The Poweramp was heavily influenced by the new design of their mono amplifier, The Silver Bullet OTL. The big challenge was to maintain their claim of realistic music reproduction, obviously influenced by the listening experience of their The Silver Bullet OTL. This seemingly simple goal – whilst also keeping an applicable price structure in order – was quite literally driving them in circles! After years of trial and error, the conclusion was to copy their own The Silver Bullet OTL circuit , but with transistors in the output stage. Yet again this resulted in an EINSTEIN typical circuit which, outside of their own adoption, hasn’t seen much of an audience in the world of high-end audio. As in their OTL designs, the circuit is designed as fully balanced and thus is able to captivate with an incredible signal to noise ratio and the elimination of typical sound influencing circuit distortions. By choosing a high bias current design, excellent linearity is achieved with extreme bandwidth extension on both sides of the frequency spectrum. Dynamics aren’t compressed in any way and no matter the listening level, no audible compression level is heard, leaving you to hear every possible detail. As with EINSTEIN'S OTL circuit, a differential amplifier is used in a cascade circuit. The input stage of the new The Poweramp, consists of double triodes, type EI PCC88, which produce extreme linearity. As in the OTL, this circuit utilizes the incoming signal to create an absolutely symmetrical – balanced – signal with the appropriate amplification level. 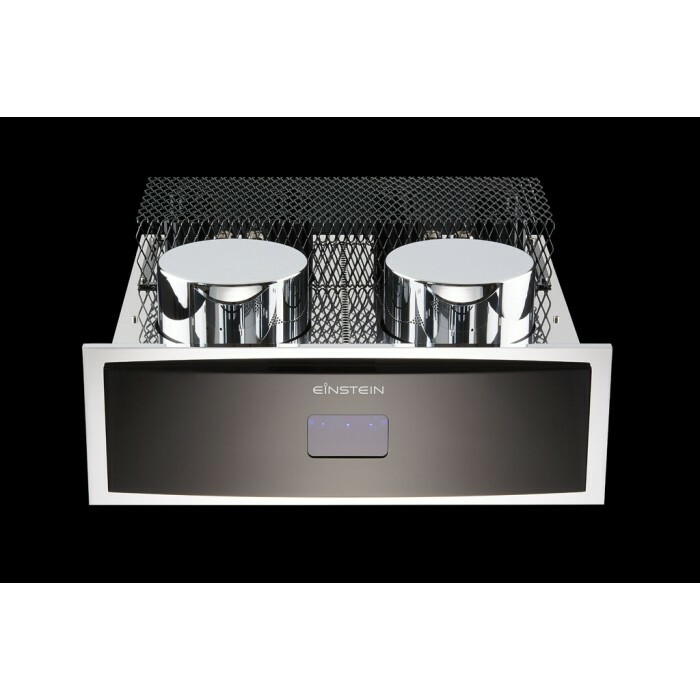 This clever design enables them to use two identical power amplifier transistors in the output stage, with absolutely identical technical specifications, comparable to the power tubes in our The Silver Bullet OTL. The mass here is also “floating”, which in practice means no interference problems with ground loops that degrade the signal to noise ratio. Of course, as is typical with all EINSTEIN electronics, the volume relay is not in the signal path. As with all other EINSTEIN circuits, a very advanced power supply is required to maintain stable power for our innovative circuits. Tremendous energy reserves and the decoupling and stabilization of all important supply voltages ensures this even in poor power conditions. Due to the excellent damping factor and the incredible power supply stability – even at the peak-to-peak impulses – our The Poweramp can drive almost any speaker without any problems. 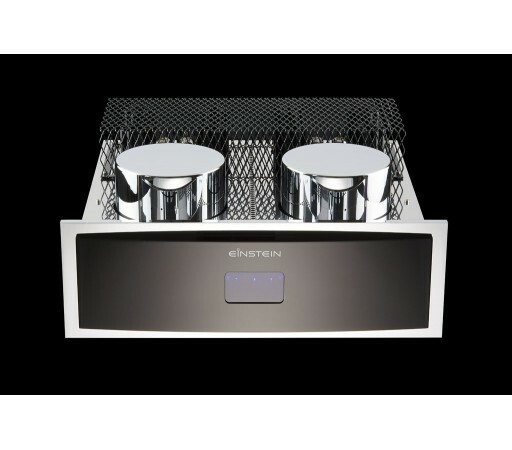 Obviously, great loudspeakers will benefit quite nicely from their newest amplifier. With EINSTEIN'S new The Poweramp, they have reached their goal: realistic, incredibly resolved playback with natural dynamics and no compression. You are able to immerse yourself even deeper in your music, almost as if you were attending a live concert.